Like I have already told you before, the fates of Pay Commission constitution and its implementation lie solely on the fate of the incumbent Government. In the past we have already seen how the Government acts quickly on implementing the Pay Commission, if it is going to the polls. Of course, there are 35 Lakhs + the pensioners who form a formidable vote bank for the Government in question, not counting the Railways and the Defence employees. If all of them are taken into account, this becomes one the largest chunk of vote bank for the political parties. But right now the things are not looking so rosy for the UPA -II Government. When I had written my article in Month of Jan, 2013, I had presumed that the UPA-II will last its full term and the Government before going to polls in 2014, will constitute the 7th Pay Commission as a carrot to the Government employees vote banks. But sadly the history of scams and corruptions seemed to have taken the sheen out of the UPA -II Government. As it is, this Government took 4 full weeks to declare and approve the Dearness Allowance and with the recent happenings I don't think the UPA -II will last its full term. After I had written my article, first the DMK pulled out of the coalition of UPA-II and right now it has been plunged in crisis over the Coal gate and the CBI affidavit. To add misery to the Government, the Chinese encroached on our territory. And as a final blow to its coffin, the CBI has found the Railway Ministry embroiled in a corruption scam. The opposition, namely the BJP won't sit quite till the Government removes at least one of the two ministers from the cabinet, either Mr.Ashwani Kumar or Mr.Pawan Bansal. And rather than lose face in the Parliament, the UPA-II constituents may as well decide for early polls. The only saving grace is the 69% turnout in the polls in Karnataka. If Congress wins a sizable votes in Karnataka, BJP will have no option but to wait till 2014 to try out its hand with the General elections. But if somehow BJP manages to win in Karnataka, the UPA-II wont make it to the November, 2013. And that my dear friends, spells doom for the setting up of 7th Pay Commission. From a long term prospective, if UPA-II Government goes out of power and a new Government is elected by say early 2014, we will have the new Government completing 4 years in 2018, so we can be assured that the 7th Pay Commission will be implemented by 2018, as is the practice. But the entire scenario is filled with ifs and buts and we can't rely on ifs and buts. 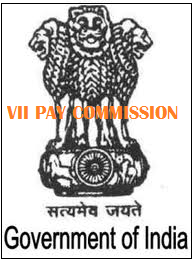 From the current state of things, the constitution of 7th Pay Commission looks very distant fate. Hope things are not bleak as they seem. Will keep you posted on any further news.